Obsessed with the jumpsuit! I’m on the shorter side and pear-shaped so I tend to have to try on a lot before I find the perfect fit, but I did find a classic black one at NY & Co this summer. I love this all in one…..but yes when you’re shopping for something specific you can never find it! Big Nordstrom Rack addict here! This is incredible. Gorgeous, chic and timeless. Love it from head to toe. What a stunning and timeless look. 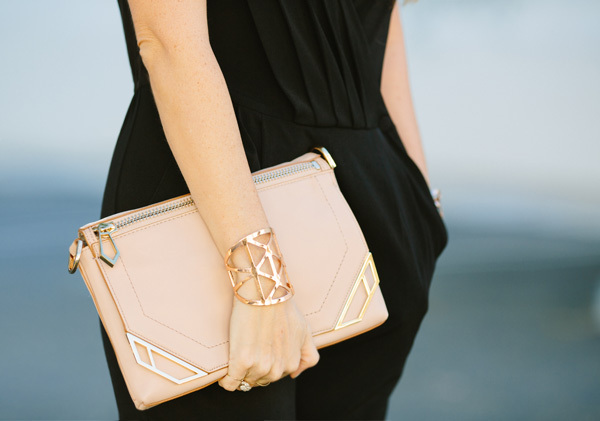 You look gorgeous – love the black paired with neutral accessories! love this lady! so chic and simple! Perfection!